Your Social Security retirement benefit represents a lifetime’s worth of savings, time and work, and it is most likely your oldest and largest retirement account. Although many Americans are familiar with the basics of Social Security, very few are able to figure out – on their own – exactly the best way to file so they can get the most out of all they have put in. 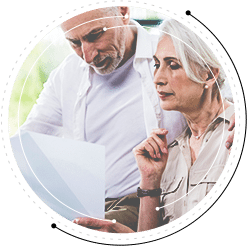 At Thrive Financial Services, we help our clients understand their Social Security benefits and educate them on how they can maximize their benefits. Delayed filing for Social Security can potentially increase your benefit amount by a rate of 8 percent per year! There is a lot to know about Social Security, and the more you know, the better decisions you can make, helping to bring you that much closer to maximizing your benefit. We will help you get the most you can out of your benefit, so you can take one step closer toward the comfortable and happy retirement you have worked so hard for! Contact us today for your free Social Security Maximization Report!